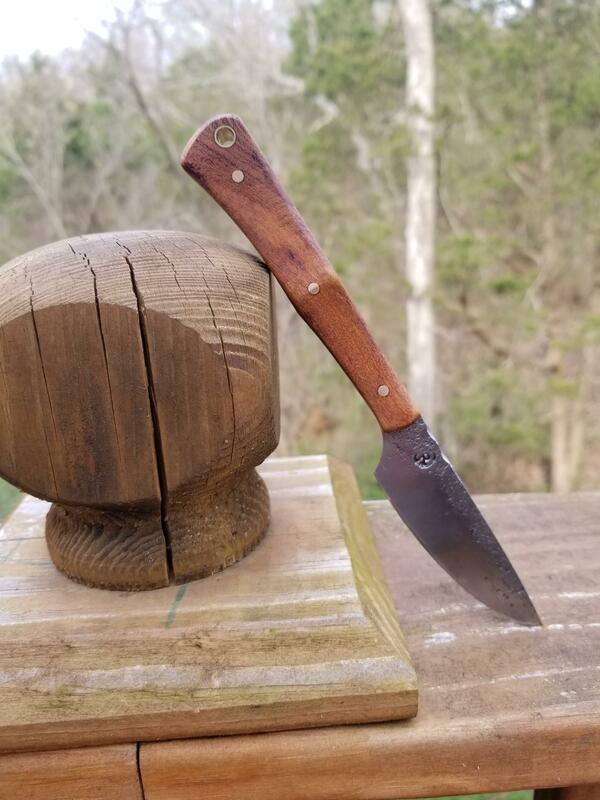 Discussion in 'Fiddleback Forge Knives' started by Bmurray, Apr 7, 2019. 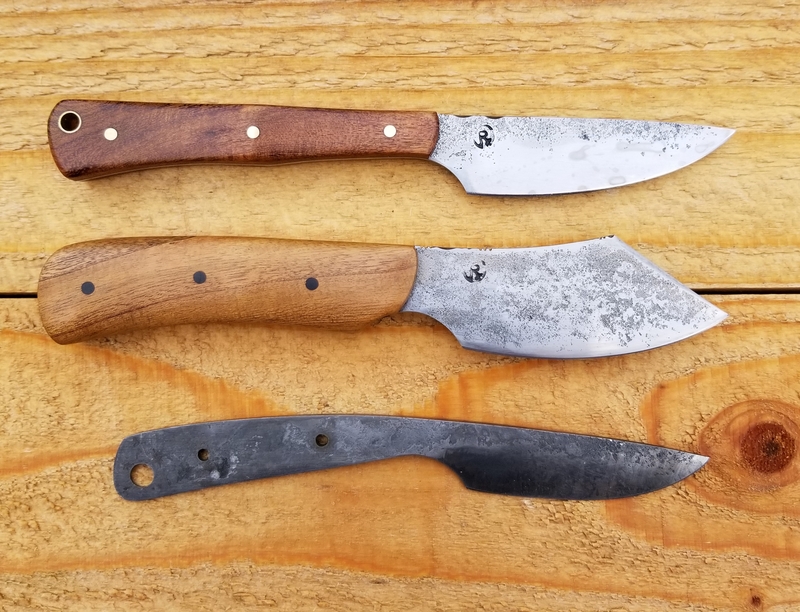 Carl @crex is a beloved family member of the knife community and especially the Fiddleback Forge one. He's always hanging with us goof balls at all of the events and we love it. 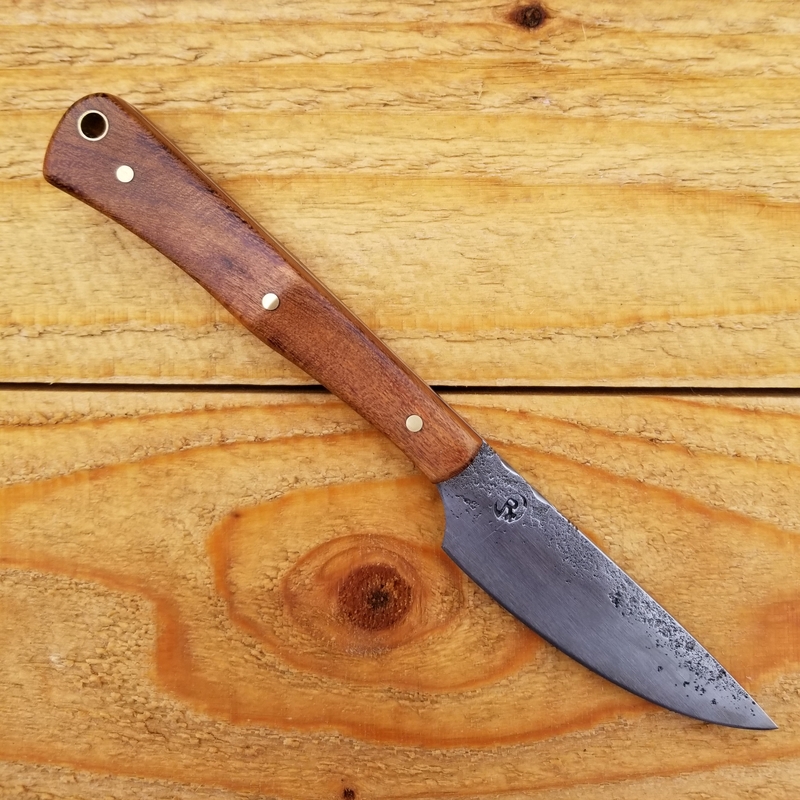 He's one of the best bladesmiths and leather craftsman that I've had the pleasure of knowing. Everyone needs to pick up a piece from him at one of the events and especially at BLADE. Let's dedicate this thread for pics of Carl's knives. 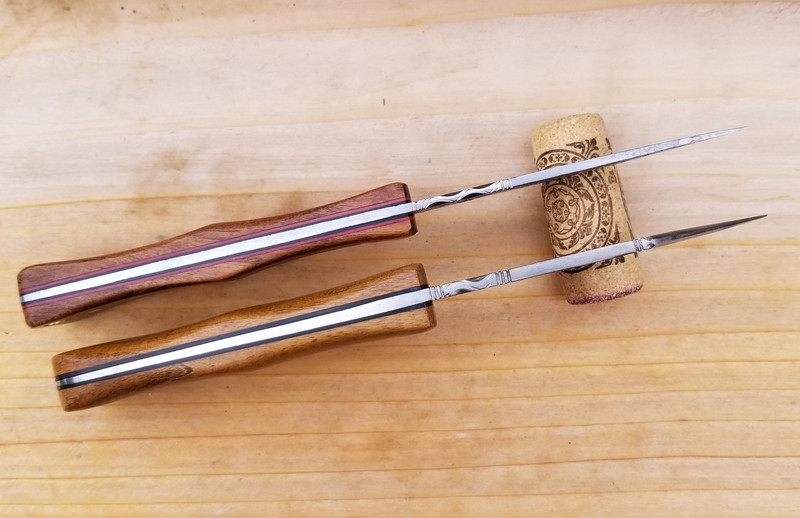 I know Tony @Luca917 and Andy @Fiddleback have a nice collection of his fine work, and is my son Adam's favorite maker. PolRoger, jaz322, B Griffin and 7 others like this. Nice! Look at that knife! Ok...I'll get mine lined up and post asap! I like the file work for the traction. Nbrackett, PolRoger, Luca917 and 4 others like this. And yes, I have heard the first step is admitting I have problem. So there. I admit it. And no, I don't need any freakin help with my problem, thank you! And the best of it! Bmurray, Wurrwulf, Outpost Allison and 3 others like this. I'd like to see the dagger in its sheath. From the Trackrock when I got it. Older pic. Bmurray, The Zieg and Nbrackett like this. Gheez Tony, didn't realize you had that many! Nice pics, thank all you guys. Just remember you are friends first. This is a great family to be a part of so thanks for letting this mongrel in. Heal up fast Big Bob and give up the naked dancing with bears! Not meant to hijack but thought you guys might want to see what one of my students has been learning. Most of you have met him, he's one of the Moonshiners on Discovery and a very good friend of mine from Beaver Dam - Huck Stewart. Guess I'll have to do it later short on time. Bmurray, NOLA, jaz322 and 1 other person like this.